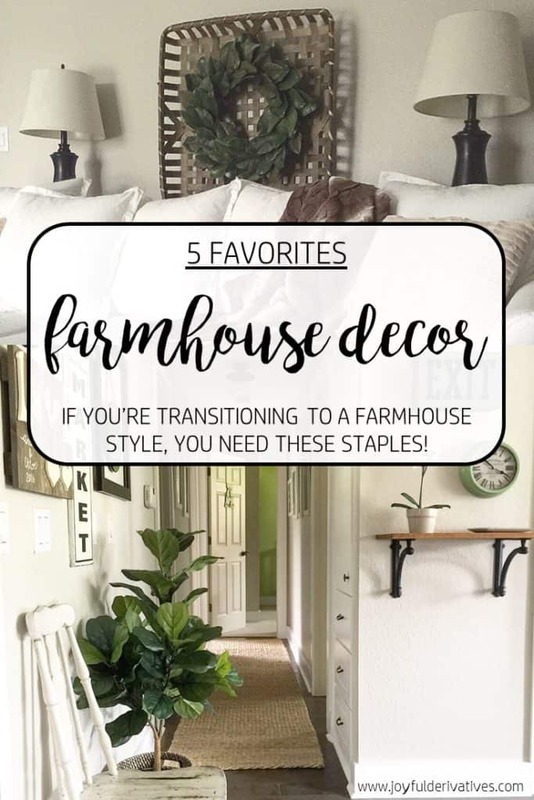 I wanted to use this week’s 5 Friday Favorites as an opportunity for me to share 5 of my favorite farmhouse decor items! 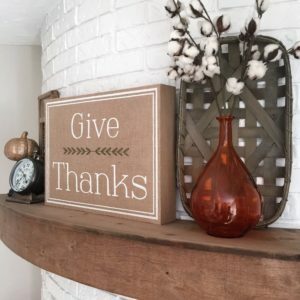 They are a few of the first items I purchased when I was transitioning to a “farmhouse” style decor and you see them in just about every picture of my home because I love them so much. 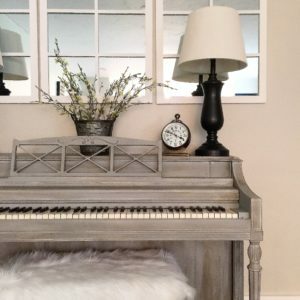 If you are considering a gradual transition to farmhouse decor, these are the items you should start with. I hope you feel inspired to go grab a few of them – and don’t worry, they’re affordable, I promise! 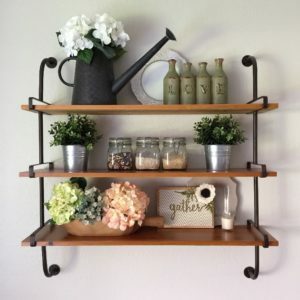 Olive buckets are a such a fun thing to decorate with! 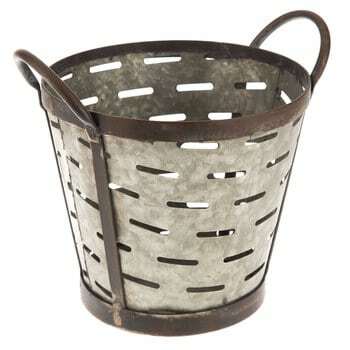 The galvanized metal gives off a bit of an industrial vibe and I love that paired with fur or floral. 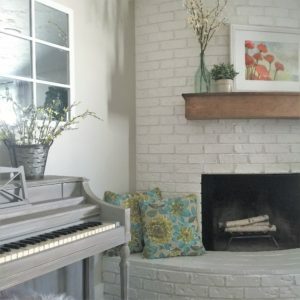 I typically use mine as some sort of pot or vase on a shelf, the mantel or the piano. 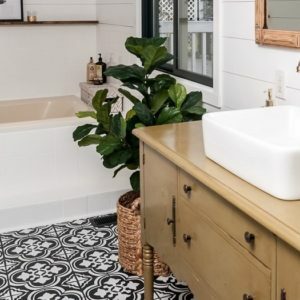 Our faux fiddle leaf fig made its big debut in our master bathroom makeover for the One Room Challenge last fall. 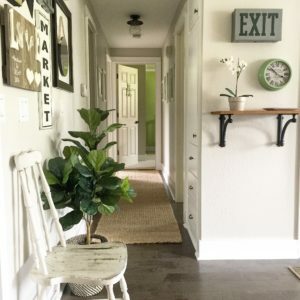 🙂 Before starting the transition to farmhouse style, I didn’t realize how much comfort came with adding greenery to a home! 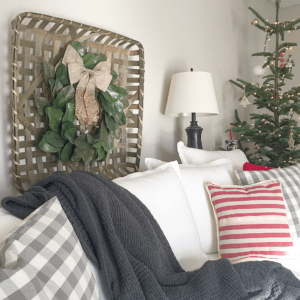 There is something so naturally cozy about plants (real or faux) in your home – if you don’t have any, I’d recommend getting a few. 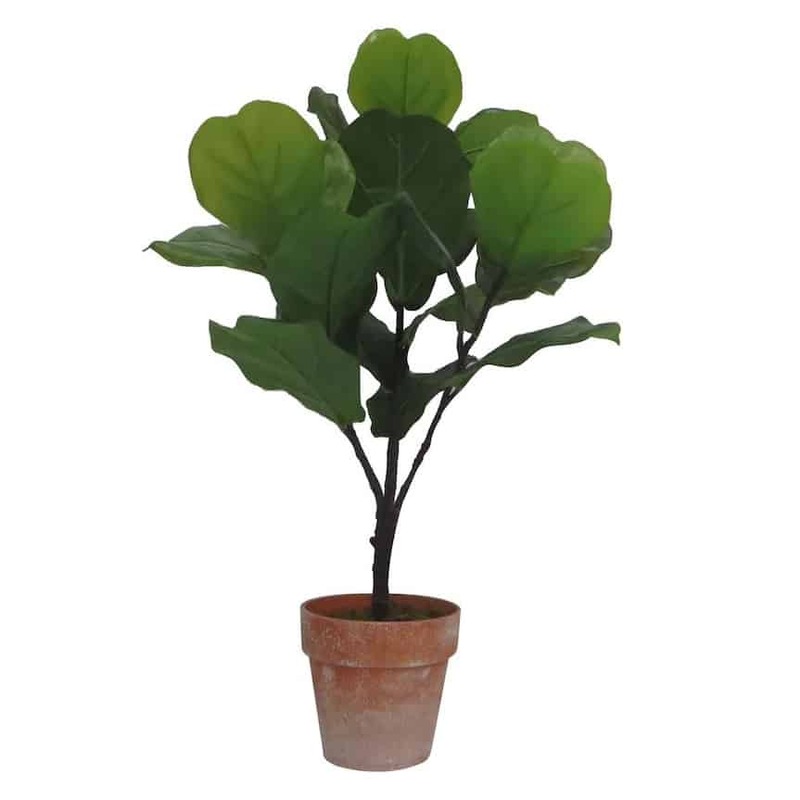 These trees are super stylish and come in just about any size you could want. Ours is about 4′ tall and I got it at Michael’s. Unfortunately, they don’t sell this same version any more, but I found a few similar (and affordable) ones here and here. 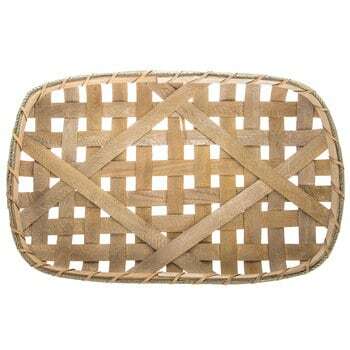 Oh, and the large basket I have it in was only $6 at Goodwill. 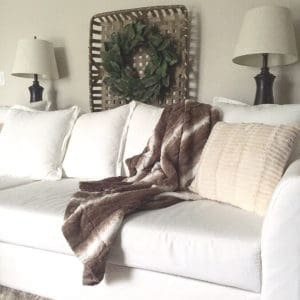 😉 Side note – should I do a post about the best decor items to look for at thrift stores?? 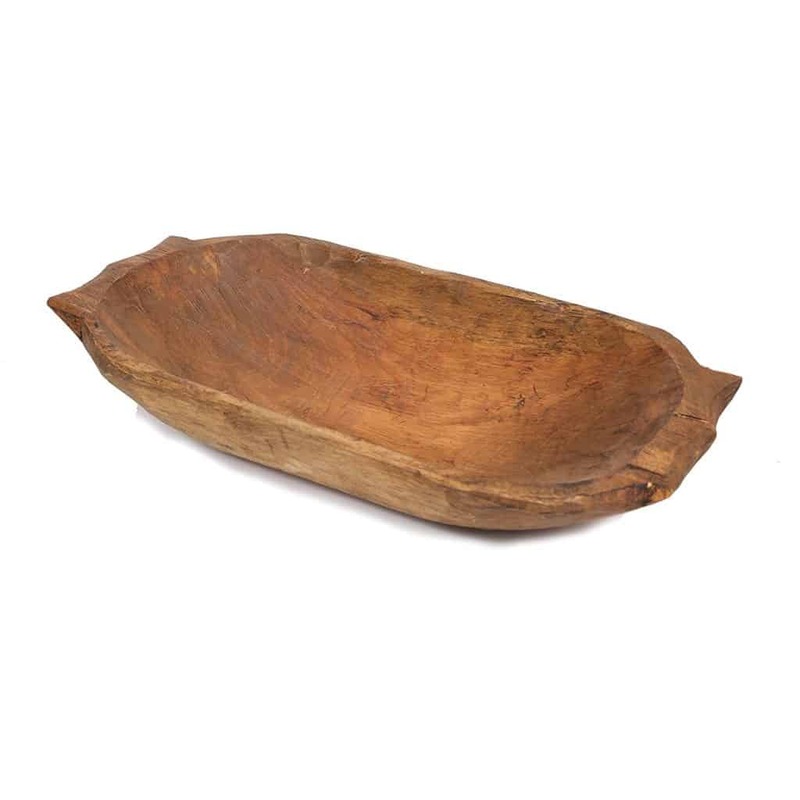 It took me awhile to figure out what the gorgeous, large wood bowls all over Instagram were, but once I did, I went and bought myself one right away! Mine is actually a faux dough bowl from the wood bowl section at TJ Maxx but they have some beautiful ones on Amazon too. I typically leave mine on our dining room shelves and fill it with seasonal decor. During the spring and summer it’s filled with flowers, in fall I fill it with leaves and fruit and then during the holidays it’s filled with gold bulbs, red berries and pine cones. 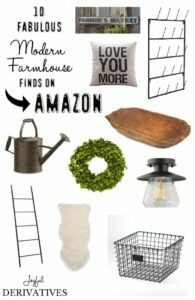 If you’re looking to decorate your home with a bit of the farmhouse style, I’d definitely recommend you grab these few items. 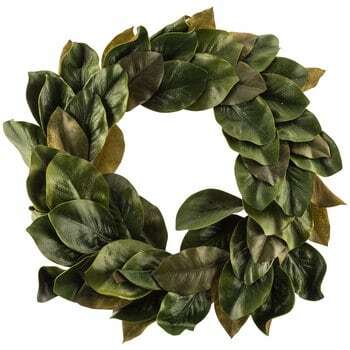 They’re extremely versatile and can be used all year long in any room of the house! 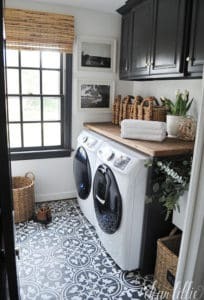 Let me know if you have an questions about farmhouse decor and have a wonderful weekend!